TheCityFix is excited to be recognized as one of the Top 20 resources for urban planners for delivering top-notch analysis on sustainable urban development in the developing world, a role we will continue far into the future. Photo by Juan Felipe Rubio/Flickr. Today TheCityFix has something big to celebrate. We are ranked as one of the Top Blogs for Urban Planners, now for the third year in a row. Since our launch in 2007, we have been working to provide our readers with analysis on important urban issues, a platform for innovative thinkers to share their ideas, and best practices for sustainable development. Our readers come to our blog from around the world, and include engineers, entrepreneurs, urban planners, and researchers. They are people who are deeply interested in learning socially and environmentally responsible ways to make cities better places to live, and how to turn this learning into action. This is a great compliment to our global network of contributors, for which we are incredibly proud. 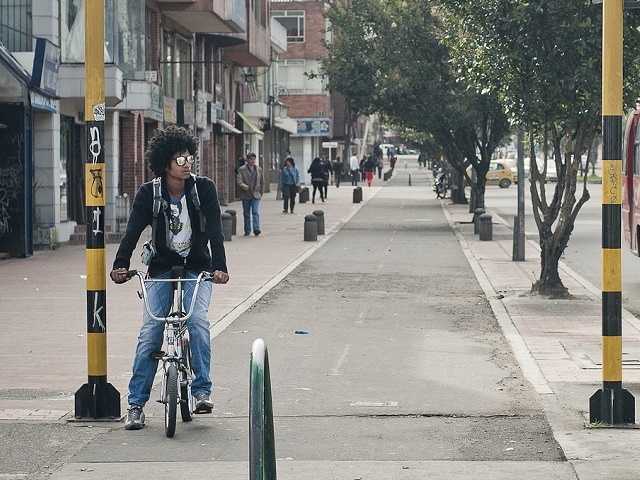 Over the past year, we’ve launched series on people-oriented cities – exploring how transport-oriented development (TOD) and human-centered design can create healthier more vibrant cities – and emerging mobility trends in cities around the world. We have begun and look to continue a discussion on how women experience transport, and how cities can use policy and design to help women access education and job opportunities safely. We have also written about how members of the informal economy play an important and often invisible role in city life and how institutions are finding new ways to increase the voice of these populations in the planning process. Along the way, we’ve also shared a few laughs with some of our more light-hearted entries, from Harry Potter to sci-fi cities to skateboarding and social change. We’re delighted to cover such a wide range of topics in sustainable urban development for our knowledgeable and engaged readership. We are proud, too, to be a voice dedicated to urban development trends, challenges, and solutions in the developing world. We also share this recognition with our sister blogs TheCityFix Türkiye and TheCityFix Brasil, the latter the recipient of Brazil’s TopBlog award. Yet, even though this is a time of celebration, it is also a time to reflect on how we can push ourselves further to be an even better resource for our readers. We want to learn more from you on which topics you want covered, and want to keep you engaged by inviting you to contribute or comment, so that we stay at the forefront of how to make cities across the globe healthy, safe, inclusive, prosperous, and sustainable. This ranking was established by Global Site Plans, an environmental branding firm, with the assistance of Alexa Analytics.